Hall of Fame goaltender who played 21 seasons in the National Hockey League, mostly for the Detroit Red Wings. 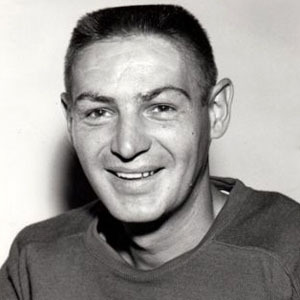 He was such a talented goaltender that he met with Red Wings scouts at the age of just 14. He became notorious for playing through severe injuries including an appendectomy, a broken instep, a collapsed lung, and ruptured discs in his back. He was married to Patricia Ann Bowman Morey from 1953 to 1969. His record of 103 career shutouts stood for 39 years until it was broken by Martin Brodeur in 2009.